When you spend countless hours comparing the smallest of details on a vintage Rolex dial, you know you’re in deep. Deep into vintage Rolex watch collecting that is. Seasoned collectors know that the slightest details on a Rolex—whether the shape of a seconds hand, a distinct coronet, or the presence of T Swiss T—can make a huge difference on the value of a particular vintage Rolex watch. 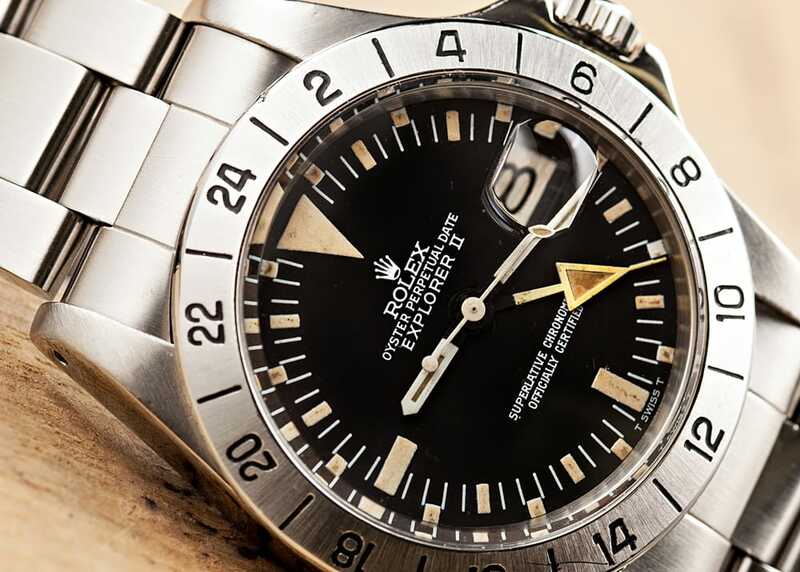 Today we delve into the inaugural Rolex Explorer II, the ref. 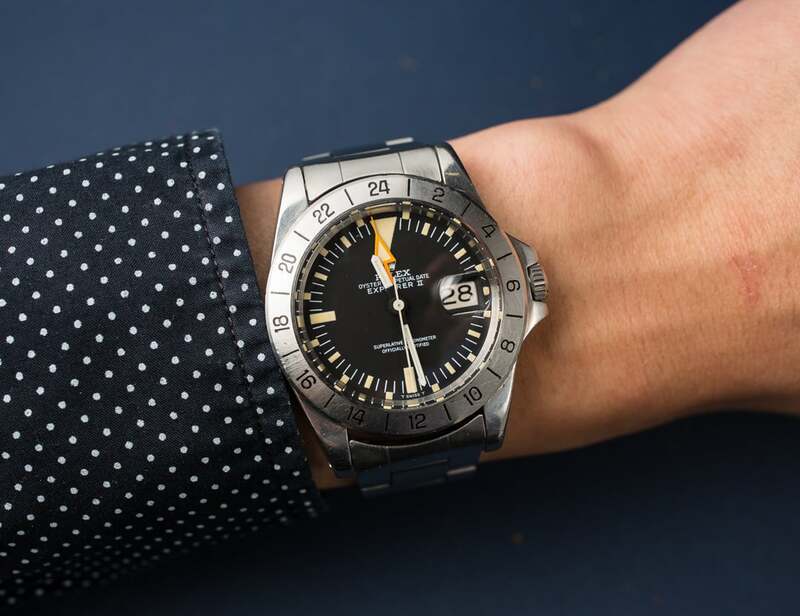 1655 to find what design details can add (or take away) thousands of dollars to its value. 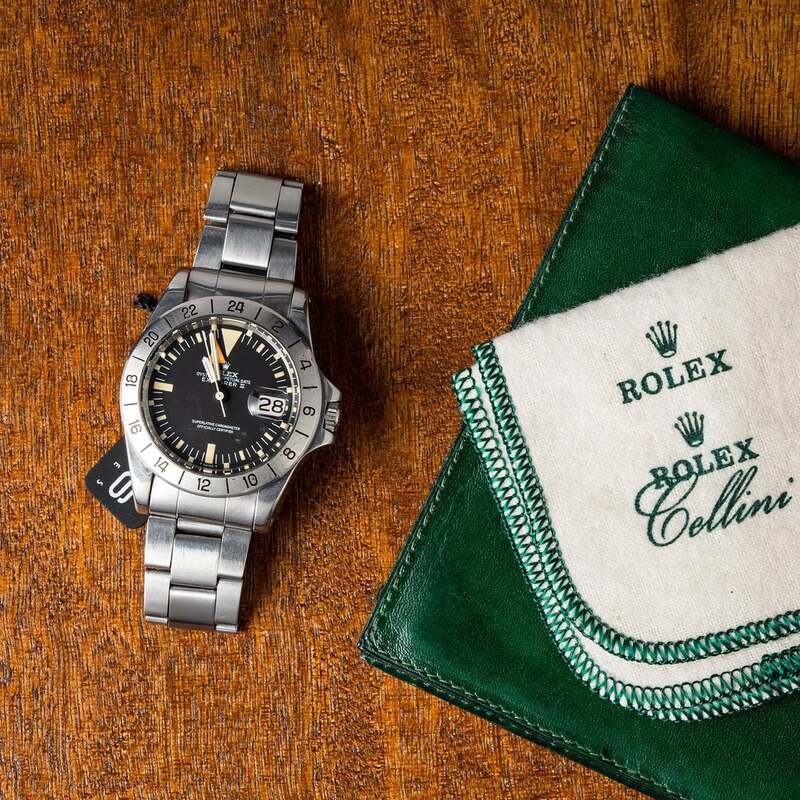 The Rolex Explorer II 1655 is a vintage watch with a handful of variations. The Explorer II Freccione is a nickname that was earned for its bright 24-hour hand. 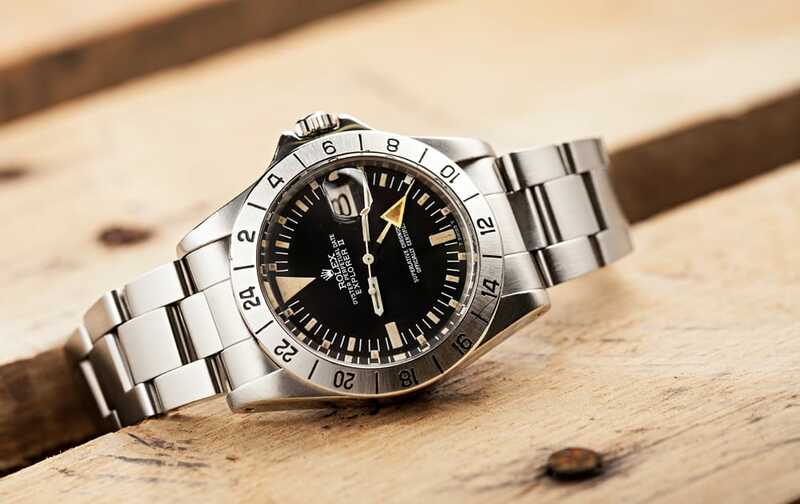 Stay tuned for Part II or our in-depth look into the most valuable details on the Explorer II ref. 1655.